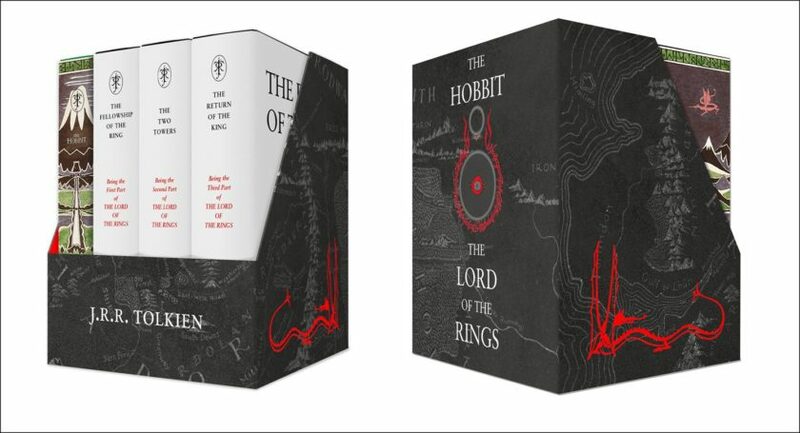 HarperCollins has today released “The Middle-earth Treasury”, a deluxe boxed set of The Hobbit and The Lord of the Rings. The release marks 80 years since The Hobbit was first published. This new boxed set, published to mark the 80th anniversary of the publication of The Hobbit, offers readers a new opportunity to discover Tolkien’s remarkable world of Middle-earth and to follow the complete story of Bilbo Baggins and the Hobbits’ part in the epic quest for the Ring beginning with Bilbo’s fateful visit from Gandalf and culminating in the dramatic climax between Frodo and Gollum atop Mount Doom and Bilbo’s departure to the Grey Havens.